Paytm Flat 50% Cashback on Movie Tickets . 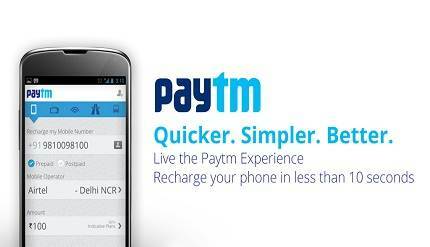 Here paytm is the one the most popular Indian e-commerce shopping website. It gradually provided recharges and bill payment of various portals including electricity bills, gas bills, as well as telephone bills and movie tickets and groceries and traveling and hotel bookings and electronics and party store and stationery, etc.Most of the people are using paytm and day by day online marketing is growing.And now Paytm offering flat 50% cash back on movie tickets.Grab the offer now. -To avail, this offer downloads the Paytm app in playstore or directly use website. -And book the movie tickets. -Offer is valid for your first movie ticket booking on Paytm.